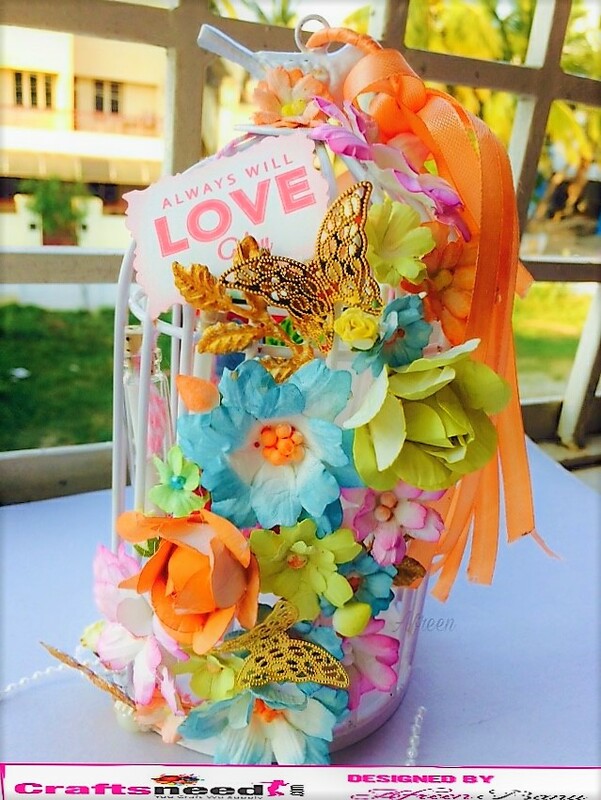 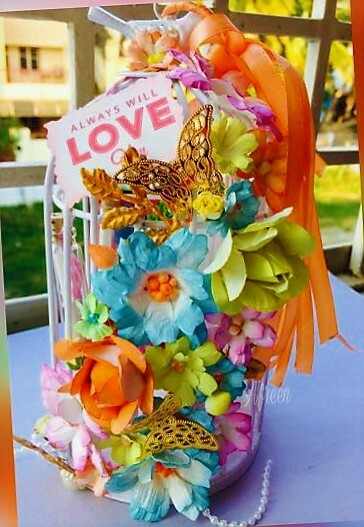 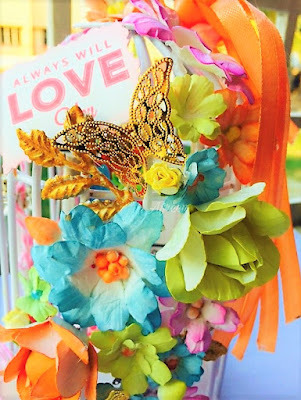 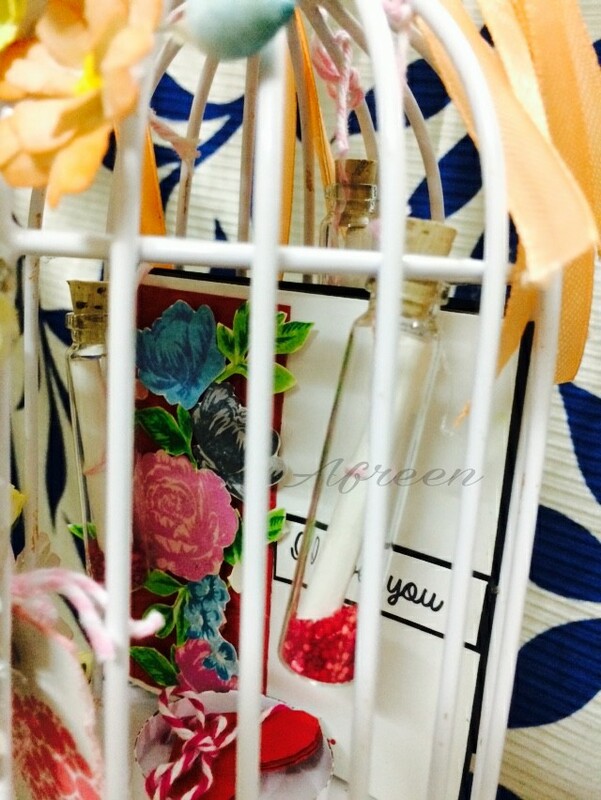 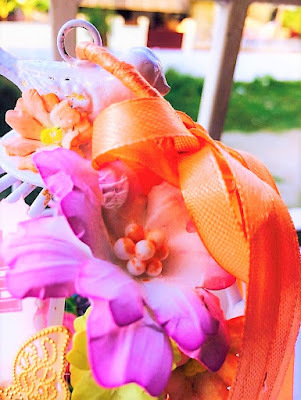 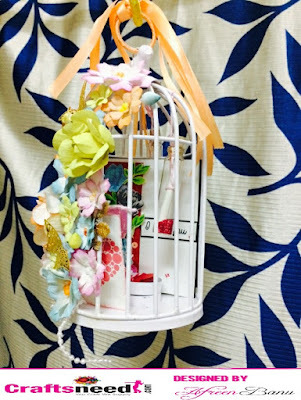 Hanged some 3 message bottles inside the cage,, filled the bottle with some sequins and then inserted letter in it, tied with baker twine .. Inserted handmade card inside the cage.. and card shaped little card inside the candle holding space. 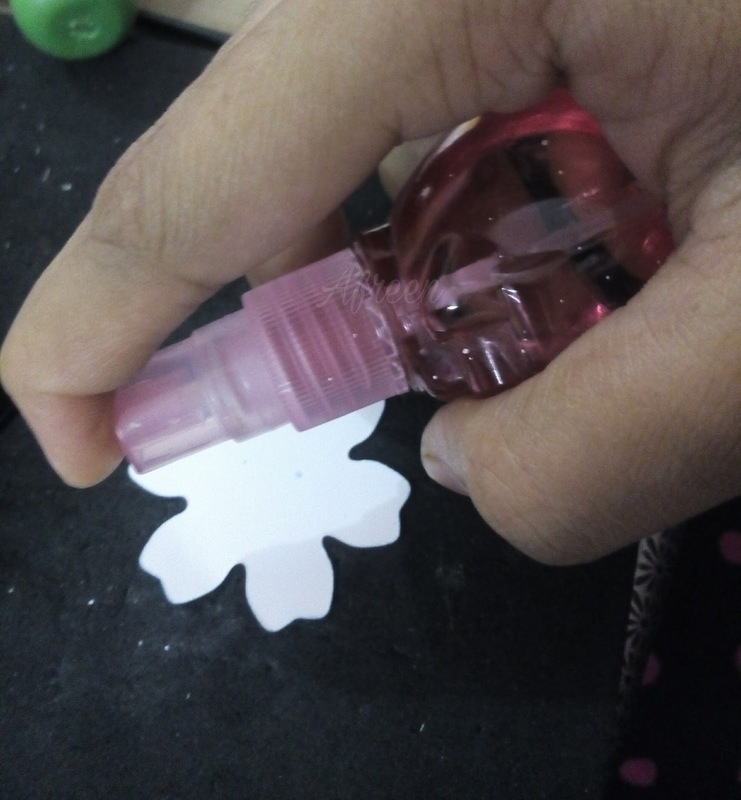 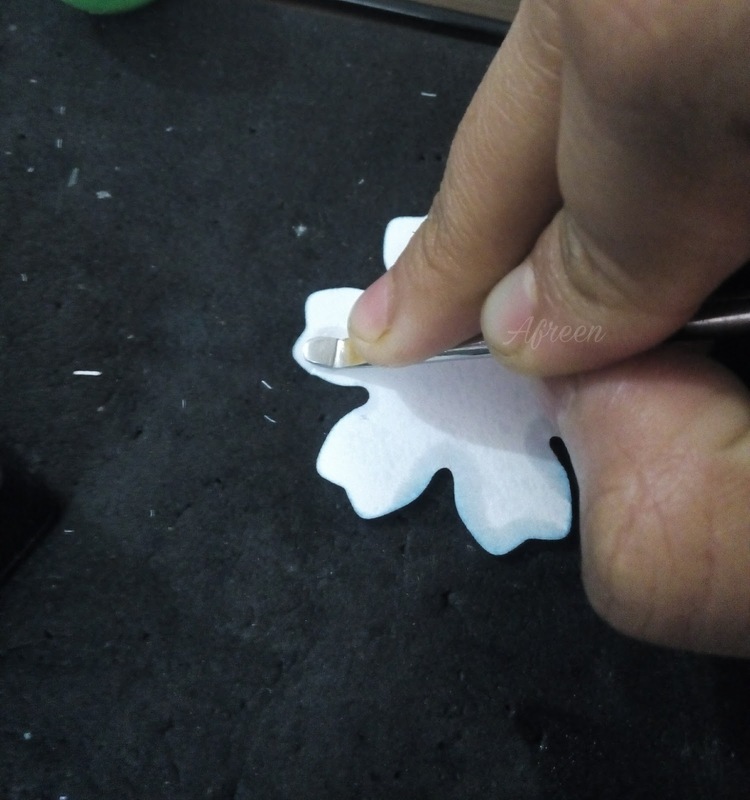 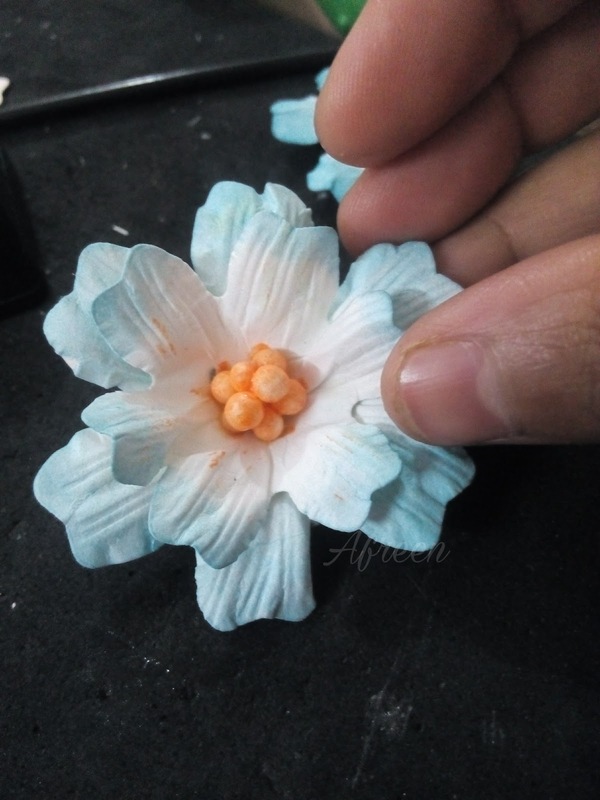 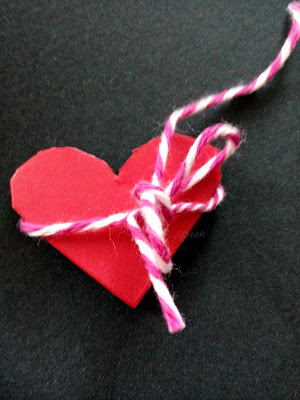 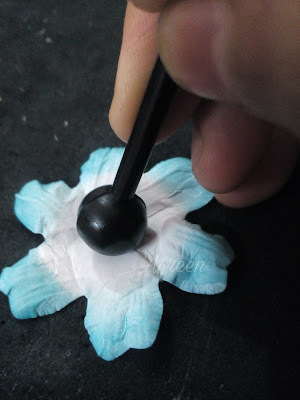 so here is the simple procedure for flower making.. 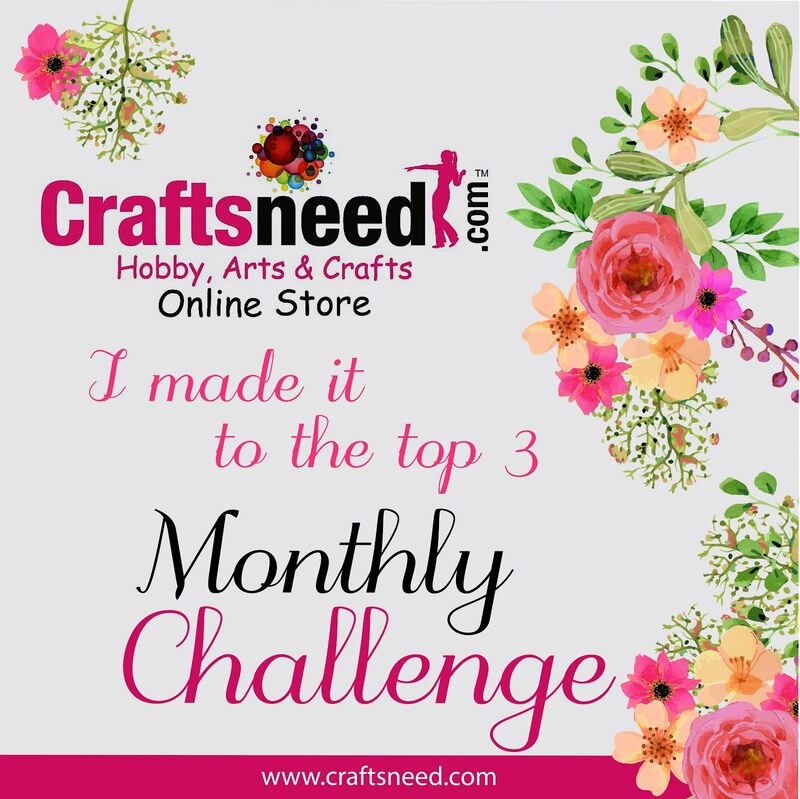 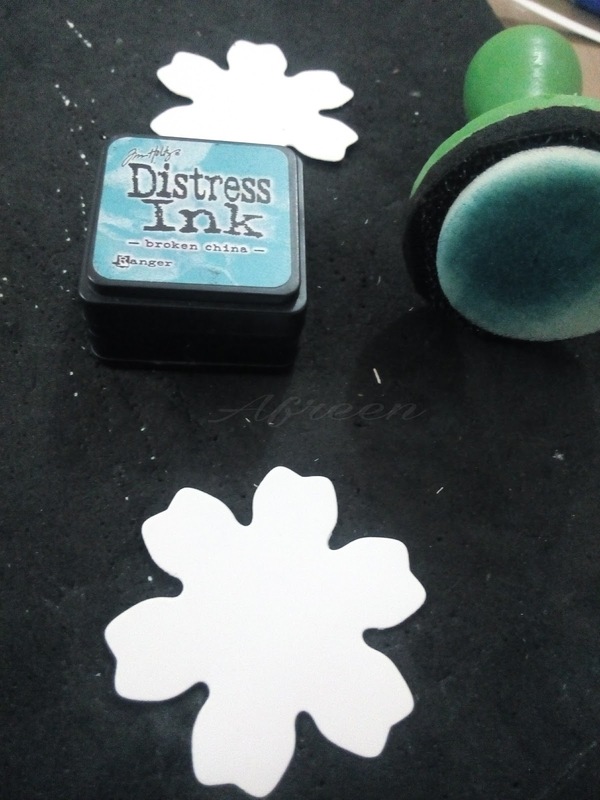 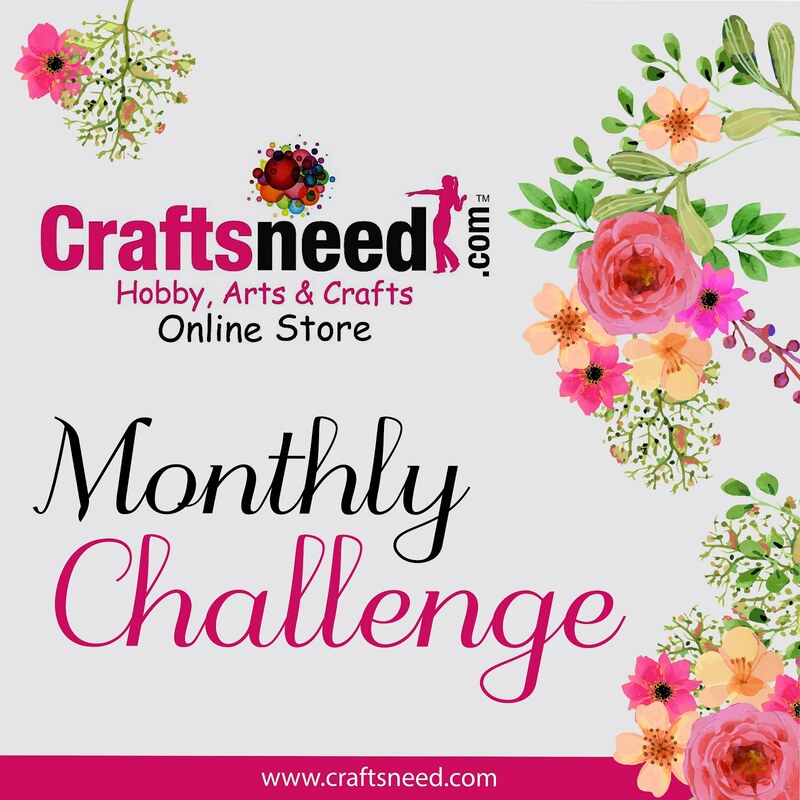 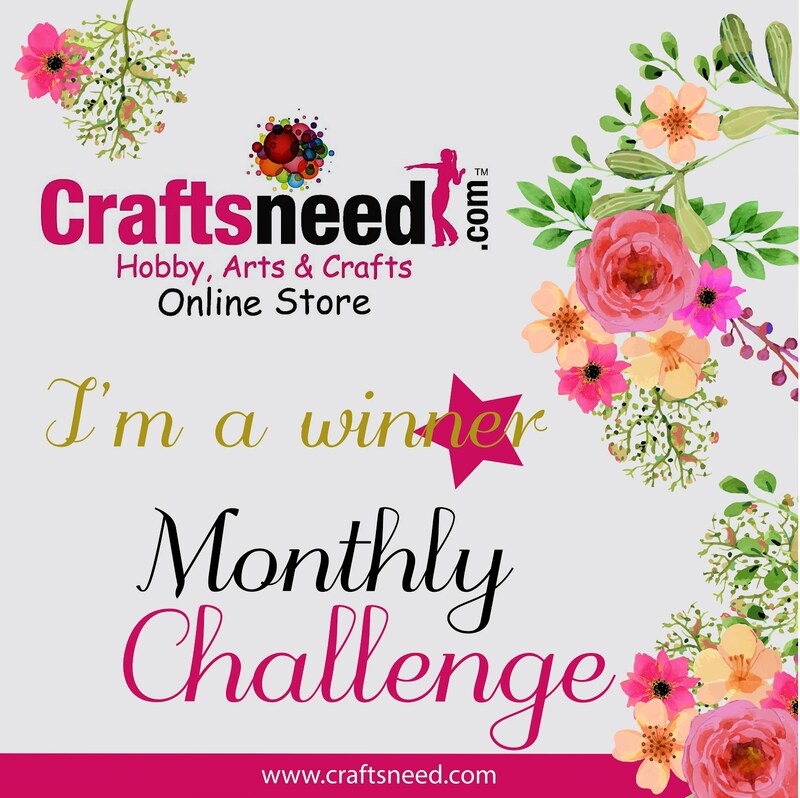 I just die cuts joy craft floral flourish #5 in assorted sizes in sigma card stock..
or you can stick balls in the center & color them using acrylic paint.. 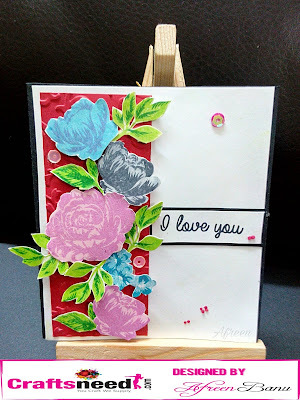 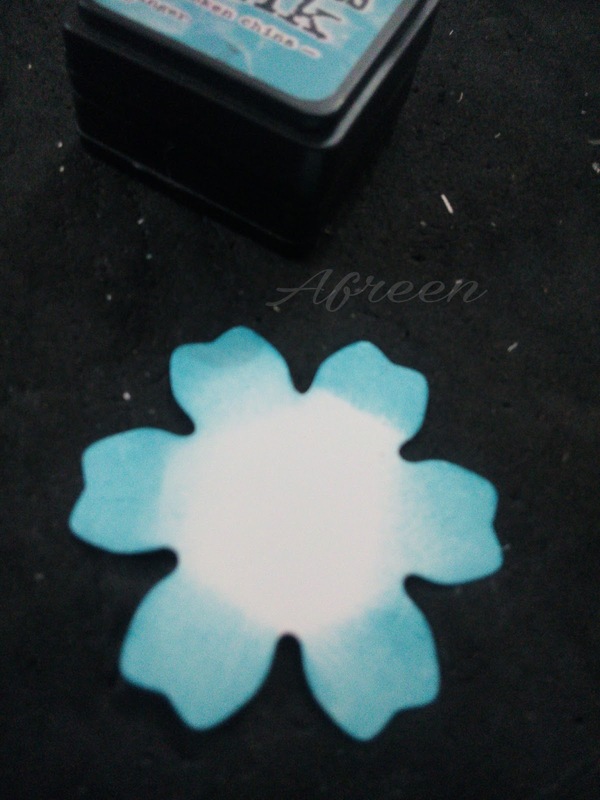 Awesome work Afreen, love the textures on this pretty flower, thanks for showing!